Happiness follows the doer of good, as the shadow that leaves not the person. as one's shadow ne'er departed. While residing at the Jetavana Monastery in Savathi, the Buddha spoke this verse, with reference to Mattakundali, a young Brahmin. Mattakundali, was a young Brahmin, whose father, Adinnapubbaka, was very misery and never gave any thing in charity. Even the gold ornaments for his only son were made by himself to save payment for workmanship. When his son fell ill, no physician was consulted, until it was too late. When he realized that his son was dying, he had the youth carried outside on to the verandah, so that people coning to his house would not see his possessions. On that morning, the Buddha arising early from his deep meditation of compassion saw, in his Net of knowledge, Mattakundali lying on the verandah. So when entering Savatthi for alms-food with his disciples, the Buddha stood near the door of the Brahmin Adinnapubbaka. The Buddha sent forth a ray of light to attract the attention of the youth, who was facing the interior of the house. 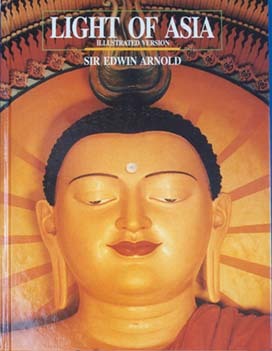 The youth saw the Buddha; and as he was very weak he could only profess his faith mentally. But that was enough. 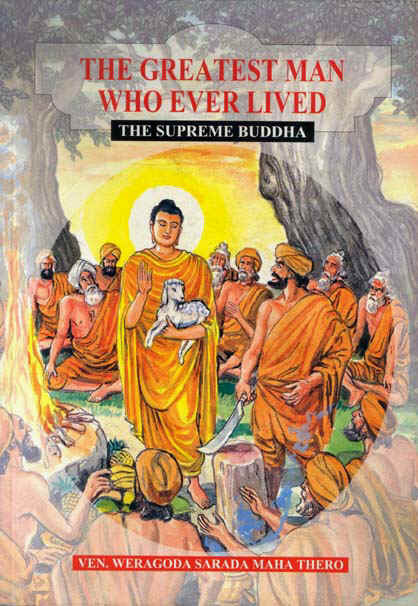 When he passed away with his heart in devotion to the Buddha, he was reborn in the Tavatimsa celestial world. From his celestial abode the young Mattakundali, seeing his father mourning over him at the cemetery, appeared to the old man in the likeness of hid old self. 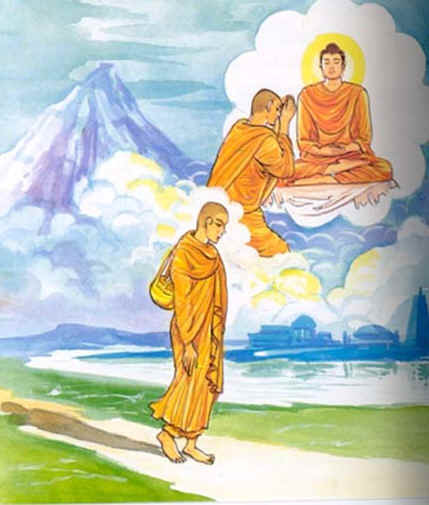 He told his father about his rebirth in the Tavatimsa world and also urged him to approach and invite the Buddha to a meal. At the house of Adinnapubbaka the question of whether one could or could not be reborn in a celestial world simply by mentally professing profound faith in the Buddha, without giving in charity or observing the moral precepts, was brought up. So the Buddha invited Mattakundali, to appear in person. Mattakundali, then appeared in his celestial ornaments and told them about his rebirth in the Tavatimsa realm. 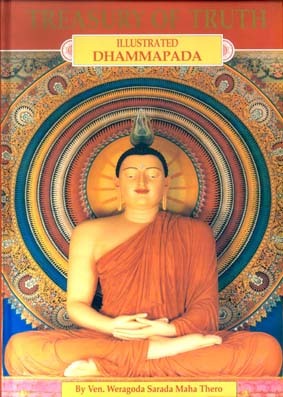 Only then, the listeners became convinced that the son of the Brahmin Adinnapubbaka, by simply devoting his mind to the Buddha, had attained much glory. All that man experiences springs out of his thoughts. if his thoughts are good, the words and deeds will also be good. The result of good thoughts, words and deeds will be happiness. The happiness never leaves the person whose thoughts are good. Happiness will always follow him like his shadow that never leaves him.